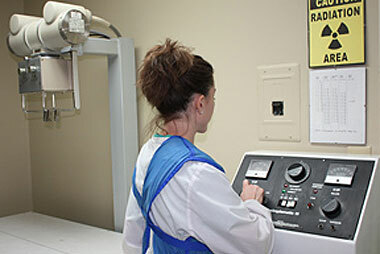 By keeping X-rays, ultrasound readings, and lab diagnostics in-house, we aim to provide our patients, and their owners, with timely results and accurate diagnoses. Our X-ray suite is a modern and well-maintained facility and resembles the type of suite you'd find at a hospital that treats humans. Keeping with the theme of timeliness and accuracy, all X-rays and ultrasound readings are performed by one of our in-house doctors. After all, there's no one who will take the appropriate care like the doctor who has been treating your pet. Ultrasound is a necessary tool for veterinarians. Cardiac ultrasound is utilized to diagnose a myriad of heart issues, while abdominal ultrasound is critical when diagnosing conditions of the liver, spleen, and pelvic area. In some cases, however, ultrasound is also practical. Obtaining a sterile urine sample from a smaller or overweight pet can be challenging. At Dallas Highway Animal Hospital, our veterinarians view an ultrasound image while using a hypodermic needle to extract the desired sample. A similar method is used when performing biopsies of the liver. In both cases, the ultrasound creates a roadmap of sorts, ensuring a quick and safe procedure for your pet. In-house lab diagnostics is never more important than when it involves an aging pet or one that requires veterinary surgery. In both cases, it's not uncommon to need more extensive blood work or for it to be done quickly. Keeping the diagnostics in house allows us to manage both, while overseeing the entire process. There are cases when we send samples to a reference lab. This is especially true when a second opinion is necessary. In these instances, we utilize a reputable facility, vetted for both its accuracy and timeliness. For additional information about our in-house X-rays, ultrasound readings, and lab diagnostics, feel free to contact us today. A member of our friendly staff is always there to help.